'FRACTURES' part four! 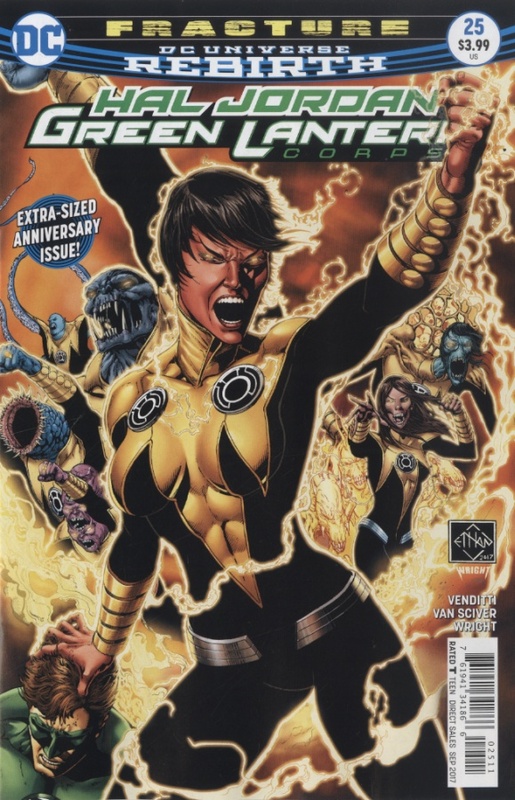 In this extra-sized issue, it's Lantern vs. Lantern as the GLC and Sinestro Corps duke it out over the murder of Sinestro Corps members. And a Lantern turns his back on their friends, embracing the darkness.